Get sun-kissed, skin-scrubbed and upside down. If we’ve said it once, we’ve said it 1,000 times: Be good to your body. 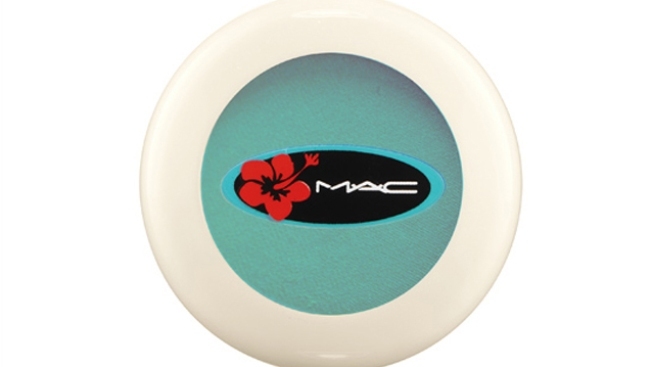 Fake a beach glow with M.A.C.’s new Surf, Baby! line, get a facial at Equinox and, every once in a while, let the blood flow straight to your head at Green Monkey. BEAUTY: If you’ve ever dreamed of driving a Jeep with a surfboard hanging out of the top as you cruise the coast, hair blowing in the wind, then we have a makeup collection for you. This week, M.A.C. launches it’s Surf, Baby! collection just in time for summer. Packaged in cute hibiscus-covered containers and packed with hints and hues that look sun-kissed and beach-swept, it will be your go-to makeup when the mercury reaches its peak. Start with a bronzer, because real rays are for super-duper SPF coverage only. Try one of three new Skinsheen Bronzer Sticks ($29.50) for a visage that’s vibrant. Add coral-colored Hibiscus Lipstick ($15.50) for a beachy pucker, and give lids a hint of frosted teal Surf USA Eyeshadow ($15.50). Top off with Splashproof Lash Mascara ($14), and you’re California dreamin’. Be sure to splurge on the Cheek Powder in My Paradise ($28), because nothing says summer glow like coral with a hint of gold. GET IT: Available May 26. 107 Lincoln Road, Miami Beach; 305.538.1088. Also this week, check out the John Frieda bus when it rolls into town for the John Frieda Destination: Style Salon Tour. Celeb stylist and International Creative Consultant Harry Josh and the John Freida expert team will sit down with you for 15-minute, one-on-one consultations and style lessons. Get a hair prescription so you can fix what’s been ailing your mane. Learn how to tame your humidity-ridden beast. Or, give life to limp locks. John Frieda freebies will also be handed out, so you can get started on life with better locks asap. GET IT: Thursday, May 26 and Friday, May 27 at Aventura Mall from 12 to 8 p.m. Check out facebook.com/johnfriedaus, #JFTour for more info. SPA: Check into Equinox for another skin treat from the sea. Caviar Indulgence, a limited-edition massage and facial package, uses caviar to make skin soft and supple. Not only is it delicious, Caviar also stimulates natural collagen production to bring skin back to a healthier state and restore elasticity. Enjoy your own caviar hour, starting with a skin analysis, caviar facial and décolletage massage. Of course, afterward, you’ll need a glass of bubbly, because, well, that’s the way Robin Leach would want it. In keeping with the Lifestyles of the Rich and Famous theme, Equinox is reviving its 24K Gold Facial for summer. Slip into a 24K Gold Collagen Mask and let the metal work its magic by fighting free radicals and reversing the signs of aging. Says Nicole Vitale, senior director of The Spa at Equinox, “Gold powder, when combined with the proper level of silk extract, blocks free radicals to help the skin regenerate quicker and fuller. After a single treatment, your face will look and feel firmer, fresher and vibrant.” That, and what girl turns down karats? GET IT: Caviar Indulgence, $175 for one hour. 24K Gold Facial, $165 for one hour. The Spa at Equinox Aventura, Coral Gables and South Beach. GYM: Standing right side up is so blah. This week, give yourself some upside down time at Green Monkey. Mateo and Jaya will be teaching an inversion workshop, this Saturday. Give your feet a break and get upside down. Not only will you learn the art of seeing the world from a different angle, you’ll also gain strength and flexibility in your upper body. From downward-facing dog to headstands and handstands, the ups and downs of this class are guaranteed to be a good time. GET IT: $25 with online pre-register, $35 day of. May 28 from 2 to 4 p.m. Green Monkey, Miami Beach Tree House, 1827 Purdy Ave., Miami Beach; 305.397.8566.